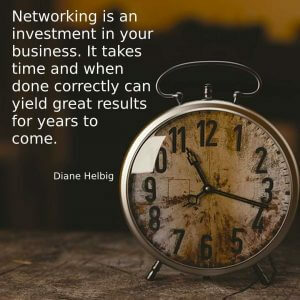 Networking is creating a foundation of connections that can boost your business, motivate and support you with all of your efforts. If you're an entrepreneur or business owner, you never want to operate alone. Having people surround you who can motivate and inspire you, as well as share knowledge that can catapult you to the forefront of your niche – is always a good idea. You don't want all of your networking efforts to be in just one area (such as list building) – because that can narrow the positive benefits for yourself and the people with whom your connecting. You want to networking with people who excel in a myriad of ways, so that you can learn from all of them and bring your business to a higher level. How you connect to these people should also vary. You can connect with face-to-face encounters in your personal and professional life. You can make connections on social media sites, through email contact or on forums. You can connect with a network both far and near by text or by phone calls, too. 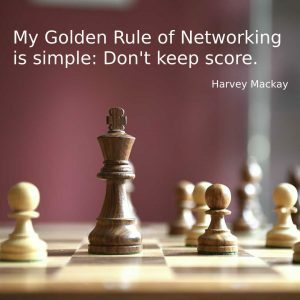 The sea of networking is a vast, endless supply of connections just waiting to be tapped into by anyone willing to put in a little effort. While being a solo entrepreneur sounds wonderful, it can also put a lot of pressure on you because you don't have a support system or team of individuals to help you succeed. Networking can keep you moving forward with your goals. Though the term “self-made man” sounds great, in reality, no one person succeeded without a single bit of help through his or her lifetime. When you move forward, obstacles sometimes happen. Maybe not often – and maybe not huge, but it does happen. When you have a network of people – it can help you find a path through or around anything trying to deter your success. It might be that your sales copy isn't converting – or your product sales are low. Networking brings people into your life who can confidently speak up and help you pinpoint the issues and resolve them. It helps because when you're striving for something in your personal or professional life, having a bond with people who have walked in your shoes strengthens you. When you're building a network, make sure that some of the people you connect with are heading the same direction. You want to do this because those people will be able to understand and they'll be able to “get you” – unlike those who aren't going after a similar goal. But make sure you have variety – because sometimes someone who is on a different path can offer a unique point of view for your vision – injecting fresh ideas into an otherwise stagnant path. By having a solid network, you'll get the feeling that you're not in it alone. On the days that it can be difficult to keep on going, others are there to help you shoulder the burden or get your mindset to a better place. That can create momentum when you feel like you're beginning to lag in motivation or enthusiasm. You need a network because you'll find people that you can bounce new ideas off of. You'll also have others who can help you come up with new ideas. Or they may be able to suggest going in a different direction when the one you're on is filled with more obstacles than you anticipated. In almost any endeavour in life, our emotions are closely tangled with whatever it is that we're doing. When you have a team of people you network with, you'll often find a great network of emotional support. You'll be able to see that whatever happens – good or bad – in your life, doesn't have to change who you are. You'll be able to look at how others handle success and how they deal with setbacks. With a good network, you can create partnerships or joint ventures that can lead to even greater opportunities. You can double the amount of output you're capable of when you have a network. You'll also gain the benefit of others who may have more experience and wisdom with the project that you're dealing with. Maybe they know a shortcut or can help you avoid a disastrous result by offering a bit of advice. When entrepreneurs think of networking, it's usually in a “What ca they do for me” mindset. But the best way to get the top contacts in your corner is to step up and serve others first. With networking, you have a great deal of ways that you can benefit. People that you network with also stand to gain from the relationship. This give and take of mutual benefits can help support your end goals. With your professional colleagues, they can offer help with some of the projects that you need to do or some of the situations that you need handled. They can be a sympathetic ear when you need one and you can often find a group of people who will have your back when the time comes to stand up for something. In exchange, you can offer help with projects they need help with as well as offering the same support when they're in need of someone to listen to them brainstorm or vent. If you're trying to build a network with your clients, this can benefit you by giving you someone who will root for you, someone who can help you reach your professional goals such as an increased client roster. You can benefit this person by offering loyalty and the commitment to give each task your peak performance. 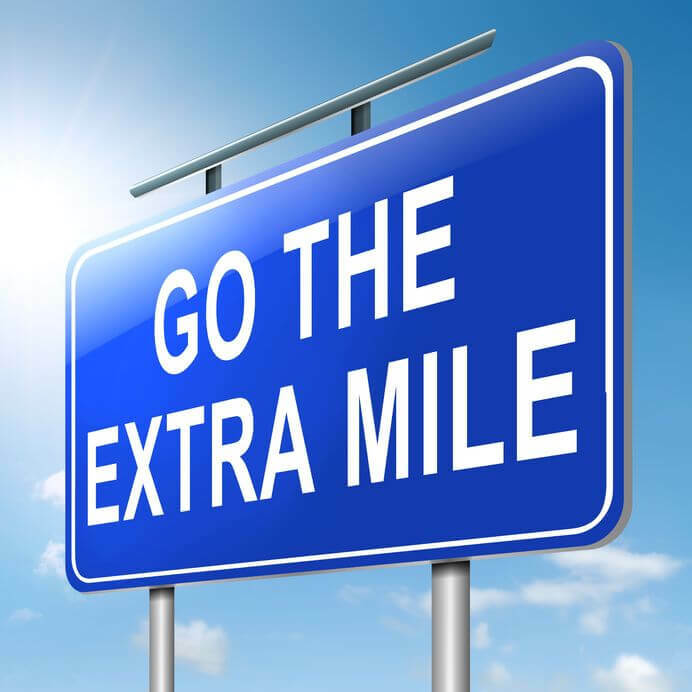 Make sure you over-deliver and they will often reciprocate for you in the form of recommendations and bonuses. You'll want to build networks with assistants and others who work closely with people that you want to network with. These are the people that protect their bosses from just anyone being able to reach them. They help streamline a busy person's day and keep them on target. By creating a strong network with assistants to the people you'd like to reach out to, you can create that chance for direct contact. What you can give back is gratitude and support that shows that you appreciate the effort. Assistants are often under appreciated and having someone acknowledge their work means more than you realize. Network with people who know more than you in whatever area you need the help with. You'll gain from their wisdom, their years of experience – and their contacts can become your potential contacts as well. You can give them back fresh ideas, help with a project and be someone to bounce ideas off of. You can also help promote their promotions if you truly believe in the quality of their deliverables. 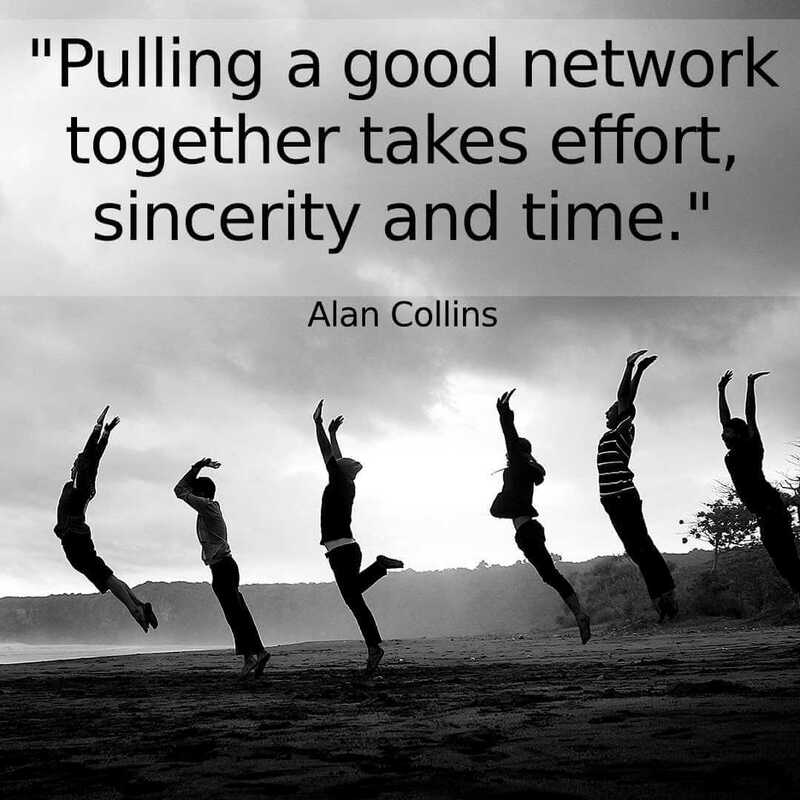 Others who are also looking to network can be great connections to make. When you're networking with others looking to do the same, you can stay in the loop for what's going on in your field. They can share contacts and news for the field that you're in. You can then do the same for them. For instance, you might network with what is normally viewed as a competitor, where you each help the other build trust and loyalty with your audiences by co-hosting a webinar together. You also want to network with community groups in order to create a platform, gain solidarity and share information with you. For their help, you can offer your expertise for their association or movement. Networking with friends and family members offers good connection possibilities to help you reach your end goals. Family and friends can offer emotional support as well as be a sounding board and in exchange, you can do the same for them. When you're looking to network, you do have to put yourself out there to make connections. Even if you're making connections online, you still have to reach out. Regardless of where you plan to connect, make it a priority to try to create at least one new networking opportunity every day. It may take a few contacts to make a solid connection. LinkedIn is a great place for connecting, but so are forums in your niche, Facebook groups, and even direct networking platforms like Twitter! All you have to do to find the opportunities is use the site's search function with keywords. When you're trying to connect, don't overwhelm the person with eagerness. You can network without coming across as too pushy. Keep in mind that other successful people have busy schedules and they may not respond for longer than you think. Look for organizations of similar interest. If you're into making and selling jewelry and you're hoping to network because your end goal is to grow your business, then you need to network with professional organizations and leaders in the same niche. This might be an association for jewelry makers. The association might be one that breaks down the jewelry by the kind it is – such as contemporary jewelry. You would also want to look for stone-setting or stonecutting organizations. Many of those will offer valuable resources that can link you to further networking opportunities. One thing you have to remember is that joining isn't enough – you have to be an active participant. How are people in a group going to know who to recommend for you to network with if they're unaware of your slant in the marketplace, So don't be afraid to be vocal about what you do and where you plan to take your business. Look up trade organizations in the field that you're in. Pay attention to local and statewide organizations as well as national and international ones. These organizations can also help keep you in the loop on the latest trends and news in your area of interest. You can get to know other people within these associations that form a bigger community and a greater chance of networking. Reach out to individual members who seem active and form closer bonds and friendships. Go to as many conferences as you can possibly attend every year. You'll be able to mingle with others who can offer you resources and connections to help you reach your end goals. You'll gain practical advice, be able to take learn from someone else's knowledge – and come away feeling inspired. Plus, you'll enjoy the camaraderie of like-minded individuals. Make sure that you have an easy way that others at the gathering can contact you. You'll want to have a flier or business card. These people will be meeting and interacting with so many others – and you don't want your name to get lost in the crowd. If you have a book in print, then you might have a few on hand to dole out to special connections – and make sure you autograph it with a personalized message and your contact information, too. Go online to find the networking opportunities that you need. Many of the organizations that you'll seek have an online presence. You can easily engage and interact on a business's social media page or on their blog page. If there's not something already online for a networking opportunity in the field that you're in or headed in, then create one. You can bet that if you're looking to network and nothing's available, that others are too – and they will find you. Networking opportunities are abundant in many areas where you can find support both for your personal and professional goals. Being a part of a community should help you be more productive, so make sure you don't join one that seems to drag you down. You Have Your Network – Now What? After you've sought out networking and made those initial contacts, you want to make sure that you take the opportunities offered to you among this initial network. But eventually, if your circle of networking remains the same and you're not adding new connections, you'll lose momentum. It should always be growing at a steady rate. Once you have your network in place, you can't let it stagnate. A network needs to be active for it to remain viable. There are several ways that you can cultivate your relationships in this network – and this will work for personal or professional goals. Stay active. Too many people network to help reach their end goal and then they slack off. They join organizations and they're so powered by motivation and determination at the beginning. When they start accomplishing mini goals or reach the one big goal, they start to take it easy, believing they've arrived and no longer need anyone else's support to succeed. Success is not an arrival. It is a continual pattern of growth. If you joined organizations to make networking connections, you need to keep up with those organizations on a regular basis. Even if you don't have the same amount of time that you had in the beginning, you still need some kind of time commitment in order to keep the contacts you have interested and to build new ones in the future. Participate in discussions within the group. Post insightful news and even share your accomplishments and compliment other people on theirs. Don't be gone from the group so long that you have to reintroduce yourself every time you pop in. People can tell when you're networking without reciprocating, so it's important that you give back. Whatever it took to build your success is what it will take to keep it growing. It's a basic formula of lather, rinse, repeat – only in the case of reaching goals, it's network, build, repeat. Speak up about your accomplishments. Not in a bragging way, but in a way that's designed to create new networking opportunities that are borne out of someone being impressed by your momentum and accomplishments. Spread your joy and passion for whatever you've accomplished. People love a good, motivating story. You can be used to inspire others – and in turn, that will help create more networking contacts through word of mouth. You can speak at schools, colleges, men's or women's groups – you can start podcasts or upload video presentations. All of these are forms of continuing to network. When you need help with something, don't be afraid to speak up and ask for it. Likewise, when you see someone floundering, be the one who steps up and lends a helping hand. It won't do you any good to create a network if you build it with people who don't support your end goal. Having the wrong network can turn out to be worse than not having one at all. There are five specific types of people you want to include in your network. These people will be instrumental in helping you achieve your goals. 1. The first person that you need to have alongside you is a mentor. This individual will be able to offer you guidance and advice. He or she can suggest when the time is right to take an opportunity – and when to wait. They may also be able to help keep you from making a mistake. It's wise to have someone on your side who's been there, done that. You can learn from their knowledge as well as from their setbacks. 2. Opposite of a mentor, you also want to have someone that you mentor. This is because having someone in your network that you help along the way will work to keep your leadership skills revved up. Someone that you're mentoring can help you with fresh ideas as well. You get to see where your niche needs help and find ways that will assist others in reaching their end goals, too. In your network, you also want a creative thinker. Many creative thinkers are also dreamers. This will be someone who will root for your ideas and support your dreams – even if you haven't taken a single step to make those dreams a reality yet. 3. Creative thinkers are people who help you learn how to set yourself apart from the crowd in you niche. You have to be able to differentiate yourself within the niche if you want to keep achieving bigger and better goals along the way. This type of person is someone who you can bounce ideas off of and then brainstorm an amazing result that will wow your audience and make your competition (and prospective JV partners) sit up and take notice. 4. But besides the creative thinker, you also want the analytical thinker. This person won't be someone telling you that something can't be achieved. Instead, he or she will be someone who can help keep you grounded. Not all dreams and ambitions are meant to come to fruition. This person can help you see what steps you do need to take in order to have the success that you want. If something is unattainable, they'll not only tell you that it is, but why – so that you can find a workaround, if possible. 5. Finally, you need someone who's good at finding information for the purpose of helping you get ahead with your goals. This person will connect you to people or opportunities. They will help find ways for you to network that you may not know about. This type of person loves introducing mutual friends who they know could use each others' ideas. Building your network is an evergreen task that you should always be pursuing. You have to be able to simultaneously take risks in connecting with someone who might shock you in a good way – and cautious about pairing up with those who can derail your best efforts or make you look like you're aligned with the wrong people. Do you think women are disadvantaged on LinkedIn? What Are the Right Social Media Platforms for Your Business? feel free to connect me via your preferred method.